A car powered by Compressed Natural Gas (CNG) is a better option both environmentally and economically than a diesel car or even better than an electric vehicle. This is clear from a new report by the Belgian Commission for Electricity and Gas Regulation (CREG). And yet natural gas will remain a niche, experts say. 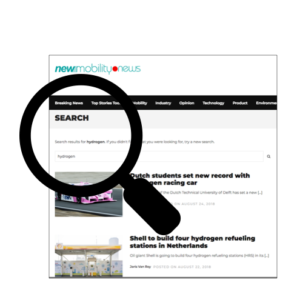 Of all new Belgian vehicles registered in 2018, only 0,8% had a CNG or an LNG (Liquefied Natural Gas) motor. During 2018 some 5.000 light vehicles (cars and vans) and 100 heavy trucks (CNG or LNG) were registered. However, this type of vehicle has a number of environmental benefits, particularly in terms of air quality. The CREG compared the total cost of ownership (TCO) of CNG and LNG vehicles with petrol and diesel counterparts. For a private owner the purchase of a CNG car is slightly more expensive but the driving costs are considerably lower. According to the CREG, the running cost of a diesel car is about 65% higher than a CNG car. The energy cost per 100 kilometres of a CNG vehicle is 3,95 euro, compared to 6,54 euro for diesel and 6,93 euro for petrol. The CREG states that a CNG car is about 200 euro more expensive, but does not indicate what they compare with. In practice, the price difference with a petrol car often amounts to 2.000 to 3.000 euro. However, if you also take into account government premiums (Wallonia) or tax exemptions (Flanders), compared to a more expensive diesel car, CNG is profitable from kilometer one, analyses the CREG. A petrol car must make 65.000 km before it becomes profitable. Compared to diesel and petrol engines, CNG cars emit considerably fewer particles and nitrogen oxides (almost 90% less). CO2 emissions are also 7 to 16% lower. These observations, combined with the economic benefit, raise the question whether CNG cars are not the better solution compared to electric cars, because they are considerably less expensive. “Last decades tax policy was in favour of diesel cars and as a result, the demand for alternatives such as CNG was low. That’s why there are fewer CNG filling stations. This limited autonomy and the demand for CNG cars”, Timmermans says. The number of CNG stations in Belgium is expected to rise to 170 by the end of 2020. 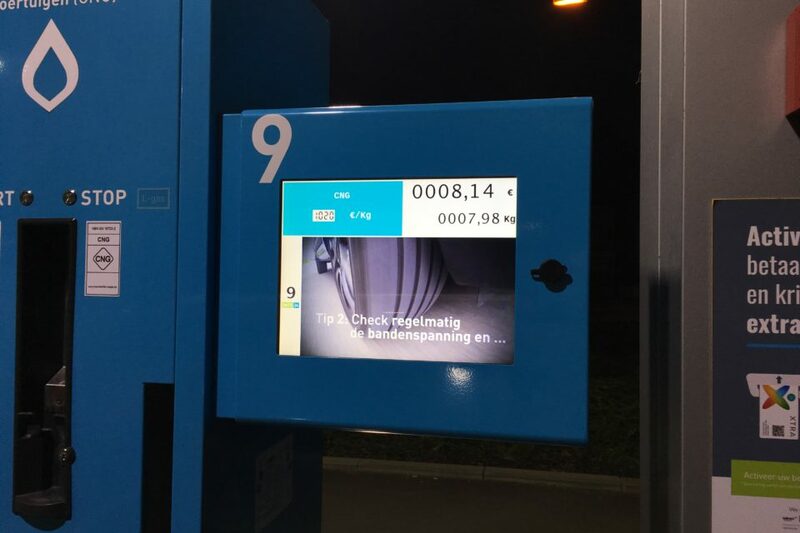 In Flanders motorists are already able to fill up with natural gas in more than 1 on 4 municipalities and their number is growing rapidly, also in the Walloon provinces. Walloon Energy Minister, Jean-Luc Crucke (MR), wants to increase the number of cars running on CNG to 18% by 2030. 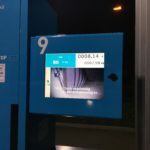 To accomplish that, a financial backing of one million euro will be provided to investors to bring the number of charging stations up to 220 by 2030. Timmermans makes an important comment on the environmental aspect. “CNG remains a fossil fuel and in the long-term it brings no solution to our environmental problem. In June a first project with biologically produced methane was announced to start in autumn. According to believers, the biological version of CNG makes it possible to reduce CO2 emissions even further and to evolve toward zero emissions.